The countdown is on: Nitro World Games returns to Salt Lake City in less than two weeks. 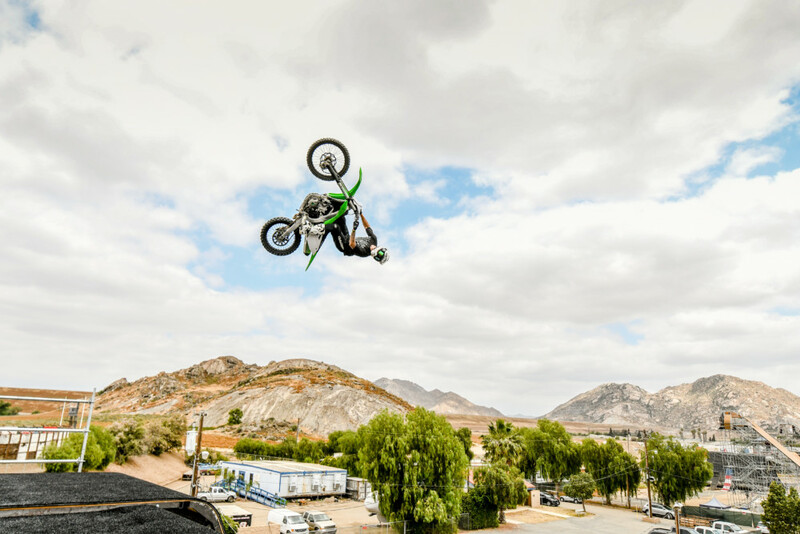 Axell Hodges aims to prove he’s the true champ on the world’s largest FMX quarterpipe, while Travis Pastrana and Ken Block look to settle unfinished business. Salt Lake City (September 14, 2018) — In less than two weeks, the world’s best drivers and riders will descend on Salt Lake City for the next evolution of Nitro World Games. Coming to Utah Motorsports Campus September 22-23, Nitro World Games will kick off with Nitro Rallycross (NRX) Qualifiers and Heat Races on Saturday the 22nd. Then on Sunday, the action heats up even more with FMX Best Trick Finals, NRX Semi-Finals and Finals and FMX Quarterpipe Finals. Gates open on both Saturday and Sunday at 11 a.m. 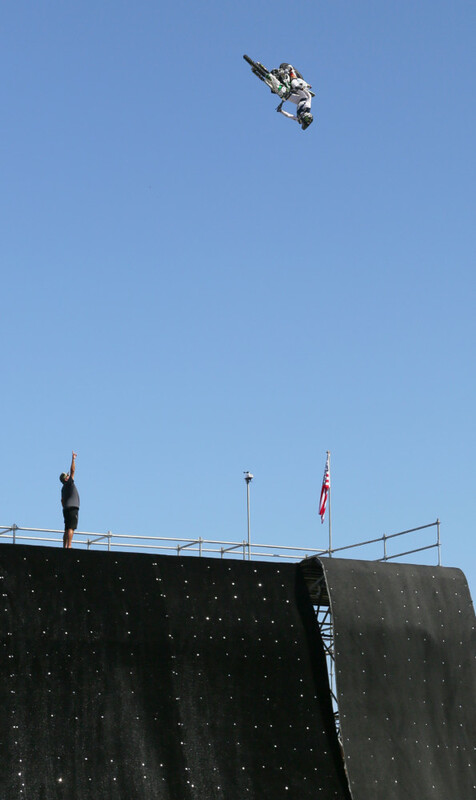 Athletes are ready to take the competition sky high with the debut of the Nitro World Games Quarterpipe. This Quarterpipe is a one of a kind, mechanical ramp that allows the degree of takeoff and landing to be adjusted. It stands 32-feet tall and 70-feet wide, giving riders a massive area of operation. The brave souls taking on this mechanical beast include Colby Raha, Jarryd McNeil, Axell Hodges, Elijah Aldoff, Corey Creed and Kohl Denney. The FMX Quarterpipe competition will see six riders invited to compete. Each will have two attempts to clear the baseline starting height before it is raised to a higher level. The height will be increased until there are only two competitors left who will go head to head in the finals. The rider who is then able to clear the highest mark will become champion and likely set a world record for highest motorcycle air off a Quarterpipe. 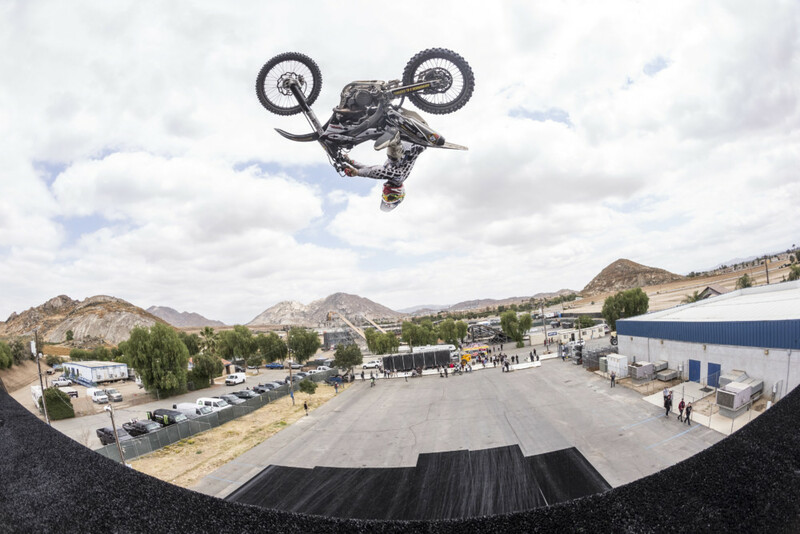 With numerous world’s firsts landed in the FMX Best Trick during years one and two of Nitro World Games, it is returning to Salt Lake City in 2018. This year we’ll see Harry Bink defend his 2017 title against a dangerous field of competitors, including Pat Bowden, Christian Meyer, Josh Sheehan, William Van den Putte, Blake Williams and Davi Johnson. Formatting will remain the same as years past, where each athlete will get two attempts to execute the best trick of their choice, with judges scoring tricks in real time. 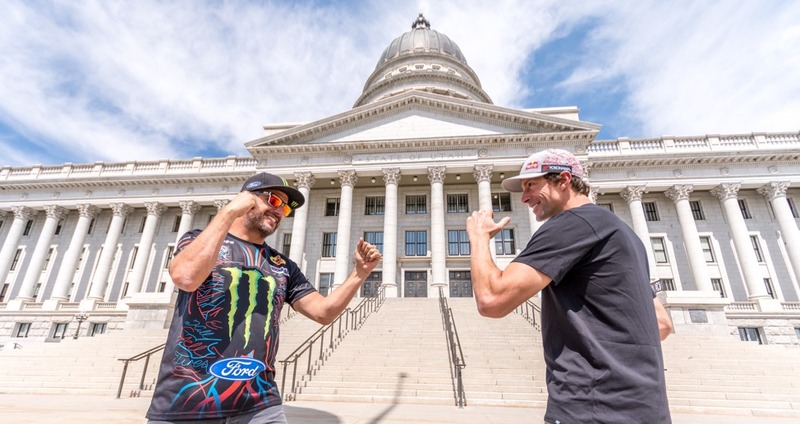 Travis Pastrana (right) and Ken Block have unfinished business to settle at the upcoming Nitro World Games. Bigger, faster and better, Nitro Rallycross will host some of the biggest names in the sport, including Ken Block, Scott Speed, Tanner Foust, Patrik Sandell, Steve Arpin, Mattias Ekstrom, Chris Atkinson, Timmy Hansen and—the mastermind—Travis Pastrana. Nitro World Games has developed a unique and innovative track layout for Nitro Rallycross. This track is designed to intensify racing by creating more lines, bigger jumps and higher speeds. The world’s best drivers will battle for the top spot on a challenging, purpose-built, permanent track at Utah Motorsports Campus, while Ken Block and Travis Pastrana look to settle unfinished business.